Internet Download Manager (IDM) is one of best downloading accelerators. in keeping with its developer, IDM will increase your download speed by up to 5 times! but, if for a few reason, you continue to want the download speed to be even quicker, it’s potential to extend the speed of file transfers by tweaking the software’s configurations to optimize your web bandwidth. Increase Download Speed By Using IDM Optimizer. Download and install IDM optimizer. You must ensure that the IDM is installed. Run the IDM optimizer to see its operational Window. In the operational Window you see the two buttons as shown below in the image. Click on the optimize button to increase IDM speed. 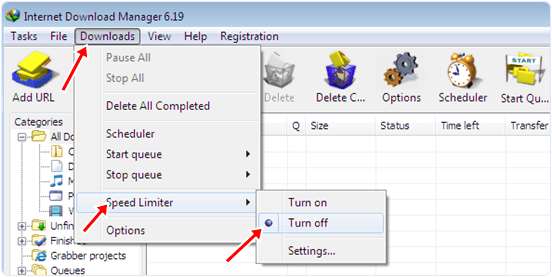 Before clicking the button you must ensure that IDM is exit from the system tray. Click on the restore button to restore the default settings. Run the internet download manager if it is currently not Running. In the menu bar click look for the Downloads -> Speed limit -> Turn off to ensure that your next download will run on full speed. Open Downloads option again in the menu. Now click on the options. After click you see a dialog Window. In the Window click on the connection -> Connection Type/Speed option. In that option select medium speed option with 3G so that IDM will utilize more connection bandwidth. Click on OK button to apply settings. For more Internet download Manager (IDM) speed you must ensure that no other Application like U torrent and other browser are not download simultaneously with the IDM. In the download Queue you have of task to limit the number to three not more than three to one. 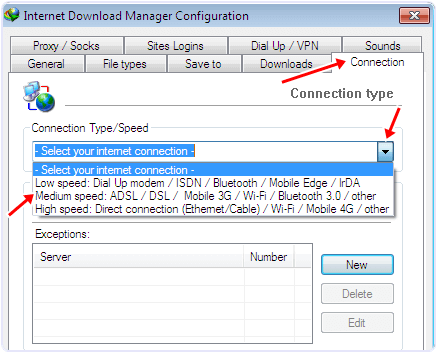 So, Here are the Internet Download Manager (IDM) with its function in detail, If you enjoyed this information than like and share it with your friends and Yes, Don’t forget to do comment bellow. Thank You.